I actually cried with laughter recalling this one!! Enjoy folks! Handy Manny and I met earlier this year… We spoke for a good couple of weeks before he turned up on my doorstep with a bunch of flowers. He was a smidge older and we got on pretty well, but when he turned up, he wasn’t what I remembered nor was he remotely like the pictures he’d been flooding my phone with. Call me old fashioned, but I like a MAN! A meaty thighs, blue steak eating, “I can fix anything”, fire building MAN! He was a more like Popeye before the spinach and without the pipe and tattoos. He was slightly rougher than I remembered and a tad skinnier. Yes he could fix things, that was his job, but he was just a bit too soppy. No meatiness, no steak, no fire…. Not even a single bloody spark. We took a trip to Xscape. Ironic really, because that’s all I wanted to do as soon as we got there. We were the oldest there, by I’d say, a good ten years. I’d like to say it was the epitome of dating disasters, but considering my previous failed attempts at snaring a chap – you get the picture. Then he suggested bowling! What! The! Shizzle! Are you having a laugh my friend? I prayed to any god that would listen and fortunately someone was looking out for me that day (although it didn’t seem it earlier! The bastards!) but they were fully booked! He agreed, we had been out a while. He dropped me off at mine and as I got out of the car, so did he…. Awkward! Now, I wanted to say, “Just because you’ve been watching me whack balls around all day and managed to get me to bend over a table – very clever by the way Mr Manny! – Do not think that that was an invitation back to mine!” All the whilst wagging my finger at him! His little lizard face lit up and he got back in the car. “Text me later!” he shouted through the open window. For the love of god! What had I done! I then spent a good half hour, constructing the perfect let down. I didn’t see us having a future blah blah blah, but I wish you all the best for the future, blah blah blah. Sounds like a date I went on recently. 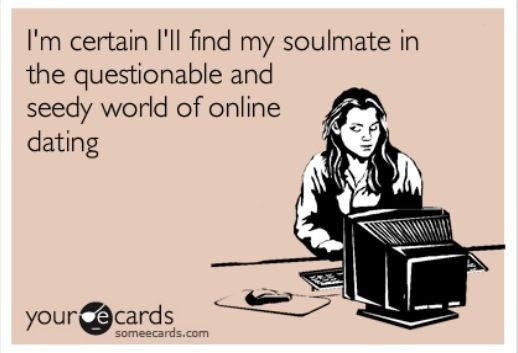 LOL oh the joys of online dating. I am 26 years old. I would still love to bowl or play pool to get to know someone. Recently I went bowling with friends voluntarily and one of them saw I was having a hard time despite laughing it off and he taught me proper technique. I hit a few spares after that. My point is it’s not what you do but the company that makes the world glisten and your heart glow. So next time you laugh at bowling or events that seem beneath you, remember that bit of advice. Hi Maria, I’m sorry you feel that way about my post. I don’t believe that at any point I stated that any of the activities were beneath me – I’m nearly 30 and the biggest kid I know – it’s just bowling and pool aren’t really my thing, especially when the date is going disastrously, plus, if the company was great, then I probably would of had a better time and been willing to participate. It wasn’t what I expected, that was all. I’m sorry if I came off in a bad way. I just read it that way. Also, I wish you all the best. I had a strange date thanks to the internet myself, but I wish I could laugh it off the way you did. Merry Christmas. I cannot tell if the reply went through. I apologize for coming off brash and rude. Also, I have an online dating story that was strange but I am not brave enough to share it. Have a merry christmas! Hi Maria, only just seen your reply.